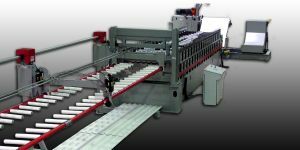 The MetLite is the entry level roll forming line from Metform. 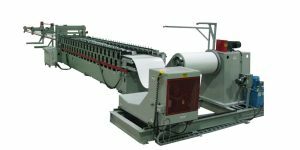 Capable of running multiple profiles, the Metlite offers proven Metform design with a low capital investment. The MetLite is a stop/start solution for panels and corrugated profiles at a competitive price. 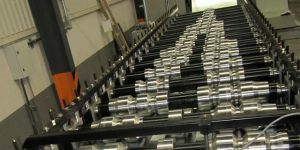 With simple installation and start-up, the MetLite offers the best value for roll forming equipment in today’s market The MetLite includes an uncoiler, entry guide, roll tooling, cut-off, and stacker. 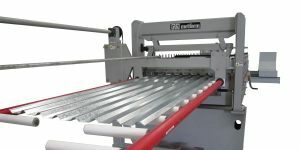 It is built on Metform’s PS Series stands and there is no compromise on the tooling so the customer can produce the highest quality product on the market at an entry level price. 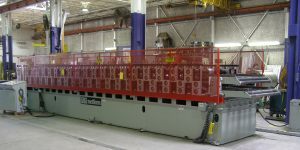 Utilizing the PS Series stands for a truly “nested” 2 Hi system allowing superior tooling access and visibility.